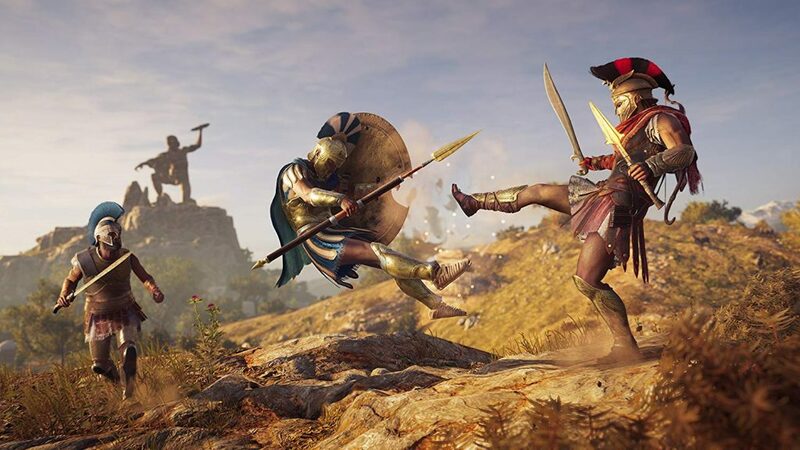 After the mostly well received Assassin’s Creed Origins last year, Ubisoft returns with a new entry in the massive Assassin’s Creed franchise with Odyssey this year which promises to build on the excellent foundation laid by Origins. I’ve been playing it over the last week or so for review after trying out a preview build earlier last month and the end result has been mostly great. Just like Origins, Odyssey is an action RPG. Whenever big franchises or games see a reboot, the first game to see big changes is usually very good but the follow up to that is even better. This holds true for Odyssey as well. While Origins was really good in almost every way, Odyssey has it beat out across the board and feels better designed overall. Many mechanics have gone through changes and enhancements here to make for a better experience. While Origins was already chronologically set before other entries, Odyssey goes back further. It is set 400 years prior to Origins and tells the story of the Peloponnesian War in Ancient Greece. You plan as Kassandra or Alexios, a mercenary looking for various answers. 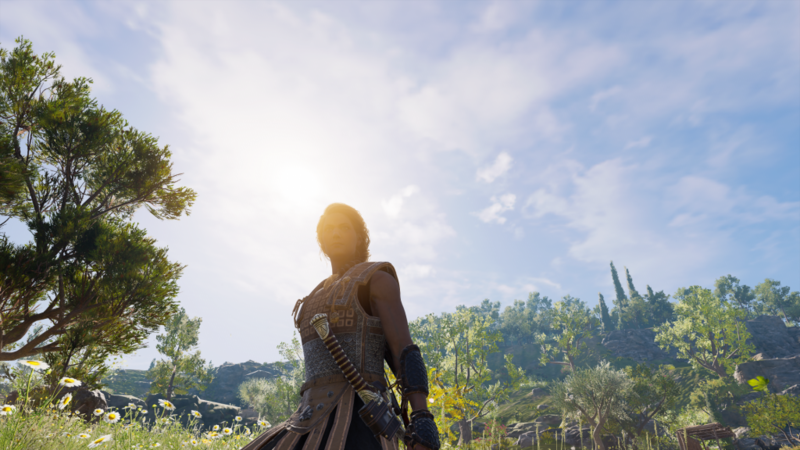 Kassandra is a fantastic protagonist and her voice actress does a superb job across the board. Origins was basically an action RPG in a lot of areas and Odyssey extends this further. This is true for the story, combat, exploration, and even quests. 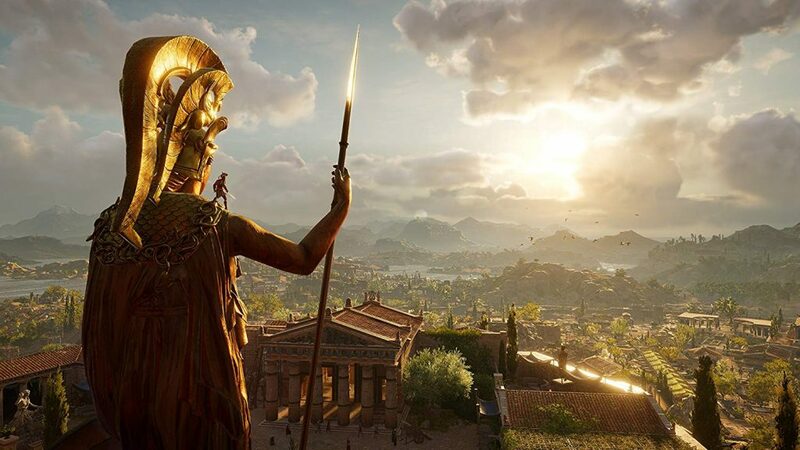 As a setting, I love Ancient Greece a lot more than Egypt and even some previous Assassin’s Creed game settings. Exploration and combat are what you will be spending a large portion of your time in here for sure. Ubisoft has a new exploration mode that turns off most markers and help for a more immersive experience. This sounds great on paper but it still feels like the game was built for the regular or “Guided” mode given how vague some of the objectives are even in Guided mode. I did switch between both often during my time in Odyssey. Make sure you explore a lot because there is a lot hidden off the beaten path. This applies to smaller islands as well as various things on larger ones. Ikaros is more of a necessity than an aid in these situations. I love how you’re thrown straight into the action with a very memorable opening segment. If you watched 300, you will probably feel right at home. In fact if you enjoyed 300, this is likely your dream game. While Odyssey might begin with some moments that don’t pull you in right away story wise, things get very interesting hours into it. Even the prologue area is superbly designed and gives you a nice sample of what to expect in the world. I even managed skipping one whole portion of a quest thanks to exploring with Ikaros in some areas further away. Level plays a big part here as it did in Origins. The world scales with your level as well for the most part which is nice. An enemy or quest being a few levels above you is most definitely a sign that you should stay away. Thankfully the various side quests and locations you find with enemies while exploring give you a good amount of experience. Some of the side quests are pretty fleshed out as well which is something you don’t really expect these days. Origins had some really nice and weighty combat but the improvements in Odyssey make it hard to go back. You have a skill tree that allows for three distinct combat styles or a mix of all. While there are passive abilities that help out a lot, the active ones make the combat sublime. Doing a Spartan Kick on a bear will never get old. You can focus your ability points on hunter abilities that are ranged attacks, warrior abilities that are melee focussed, or assassin abilities that are stealth focussed. The poison based abilities were super useful early along alongside the Spartan Kick that can knock enemies off of ledges or even break their shield guard. The only place combat falters is when you deal with a large group of enemies. There are means to deal with people one by one but things feel clunky when there are more than 3 people attacking you. A lot of the new features are great additions to the base of Origins. I say base of Origins because it was already a very good RPG overall and the additions here make this even better. Naval combat and exploration is a joy. You have a crew that sings sea shanties while sailing and combat that is a ton of fun. I spent a ton of time just exploring the open seas to find loot and even take down various ships just for the heck of it. There are a lot of secrets and various hidden treasures for you to uncover underwater. I did run into a few performance issues during sea exploration though. The other big addition outside of the combat enhancements is the mercenary system. While this is a true open world game where you can go almost anywhere and do almost anything, there are consequences. Killing NPCs or stealing from people when you get spotted will have mercenaries come after you through bounties. You can pay this off but the real fun is preparing well and then defeating the mercenary to get great loot. There are two big issues with Odyssey in its current state. The first is load times. 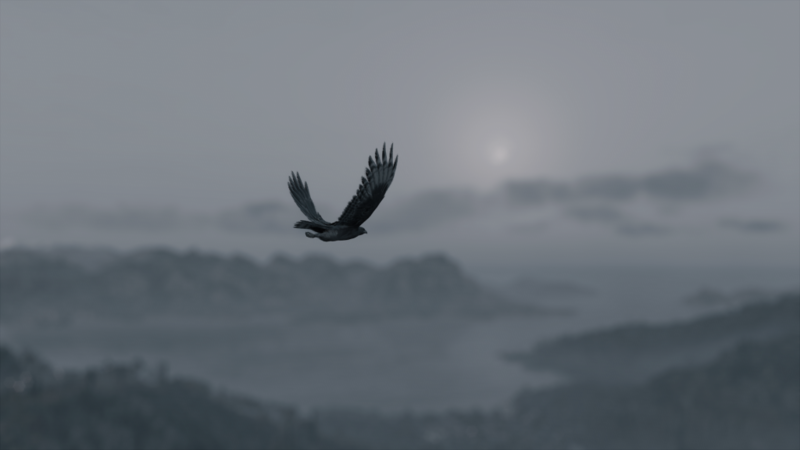 You use Ikaros (your eagle) a lot to scout locations for enemies and treasure. 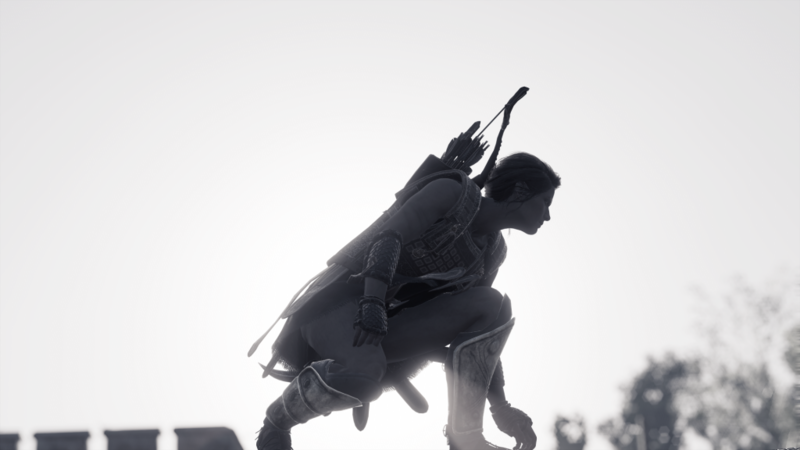 In most cases, straying too far from Kassandra will have you waiting for a good amount of time thanks to loading. There are long load times even for fast travelling which is sort of expected but they still feel far too long. The second issue is visual glitches. I’ve had NPCs glitch out and walk jerkily and even some that judder during cutscenes behind Kassandra. Hopefully the glitches get addressed in patches soon. The preview build I played on Xbox One X was gorgeous. I’ve played Odyssey for review on PS4 Pro and almost everything looks stunning. Even small villages are rich and detailed. The art direction is definitely a step above Origins here. Some of the moments with sunlight and thick grass reminded me of Horizon Zero Dawn which is something few games manage when it comes to visuals. I can’t wait for the discovery mode to get added here just to be able to explore the vast areas without worrying about the main story or any quests. You will end up using the photo mode a lot. Voice acting is pretty fantastic across the board. Everyone from major NPCs to your crew on the ship singing sea shanties sounds great. The atmospheric music and reactive nature of it in combat and exploration is great as well. This may have the best Assassin’s Creed soundtrack. Overall, Odyssey is a fantastic action RPG. If you liked Origins, you will love this. If you skipped Origins, this is definitely a great game to jump back into the franchise with. I look forward to playing it through the rest of the year for the platinum trophy.